Gertie's New Blog for Better Sewing: Last Day to Enter! 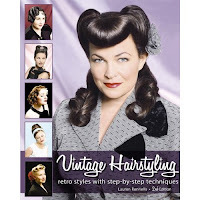 Just a reminder that today is your last day to enter the giveaway for a free copy of Vintage Hairstyling by Lauren Rennells! Leave a comment on the original post by midnight EST to be part of the drawing. I'll announce the winner tomorrow!